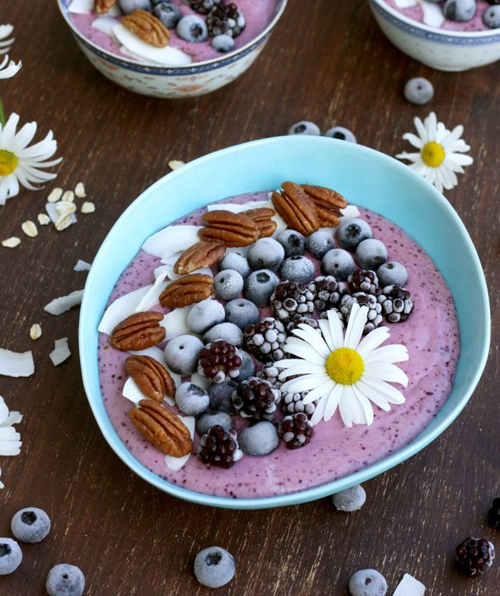 Looking for a delicious, healthy, and satisfying smoothie bowl recipe for breakfast? Start your morning with a Protein-Power Breakfast Smoothie Bowl. These colorful and artistic bowls are easy to make, super nutritious, and packed with hearty protein-rich ingredients to keep you energized and fueled throughout the day! 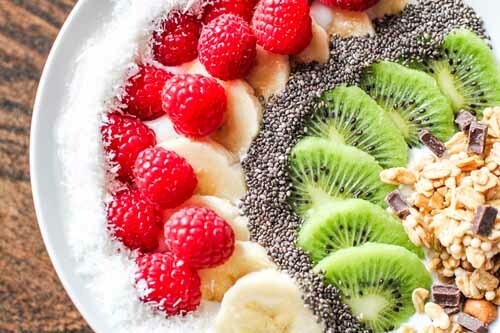 Topped with delicious fruits, seeds, nuts, coconut flakes, and even chocolate, eating a smoothie bowl for breakfast feels indulgent, like starting your day with dessert. However, these bowls of delicious goodness can be quite healthy, so it’s an absolute win! The key to making healthy breakfast smoothie bowls is to keep sugar content low and nutritional-value high. Many smoothie bowls are high in sugar (even natural sugars from fruit) which can spike blood-sugar levels. 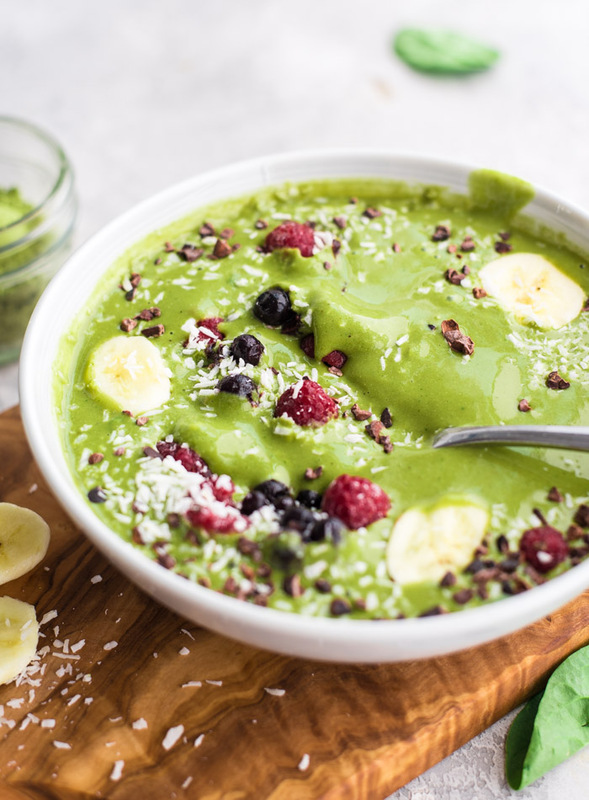 Adding vegetables and low sugar fruits (such as greens, beets, zucchini, and avocado), healthy fats, and protein to fruit smoothie bowls helps create a well-balanced breakfast, keeps you feeling full longer, and stabilizes blood-sugar levels. The common theme in these 15 delicious smoothie bowl recipes (besides being amazingly scrumptious and full of superhero nutrients) is PROTEIN! What’s the fuss about protein? Protein is important for numerous reasons, and starting your day with a protein-boost offers many wonderful benefits. Studies show that protein helps you feel more full - with less food. Protein boosts metabolism and increases the number of calories you burn. Protein helps maintain muscle mass and strength. Protein strengthens bones and helps ward off osteoporosis. Eating sufficient protein curbs hunger cravings throughout the day (which means less late-night hunger attacks). 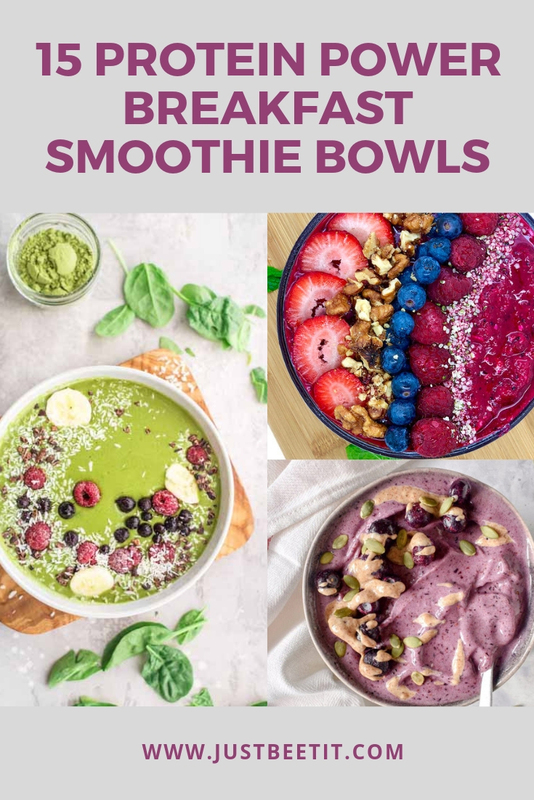 Check out the following 15 Protein-Power Breakfast Smoothie Bowl Recipes for some creatively delicious ways to pack your smoothie bowls with protein, flavors, and nutrients! What are your favorite smoothie bowl ingredients?